At our core, we care about the open, diverse web. We believe in being generous, disagreeing respectfully, making an impact, being curious, and celebrating the unique characters that make our colorful community stronger. Internally, that translates to policies that are reflective of our general mindset that treating employees well will make for a happier and more productive Disqus. So when it came time to create an official parental leave policy, we knew we wanted to be as inclusive and thoughtful as possible. We launched V1 of our policy in September 2014, providing paid time off for both primary caregivers (12 weeks) and secondary caregivers (8 weeks), in addition to Pregnancy Disability Leave for those giving birth. For a small company, we felt like we were being pretty competitive, fair, and generous. However, as we grew a bit, we realized that the difference between a “primary” and “secondary” caregiver was a little...unclear. 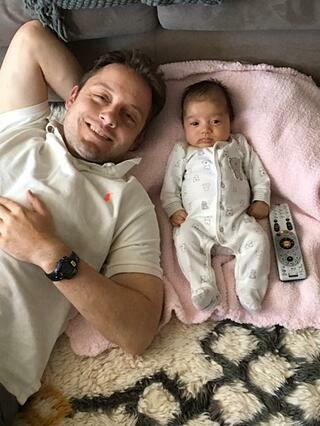 And we wanted all of our new parents, regardless of family structure, to be able to take advantage of time off to bond with the newest members of their home communities! So effective May 2016, we leveled up our policy, granting all new parents 12 paid weeks of family bonding leave. The employee who has given birth is also eligible to take advantage of Pregnancy Disability Leave, with Disqus making up the difference between the disability payments and the employee’s regular salary. Additionally, we work with employees on a plan to phase them out of work, cover their work while they’re away, and ease them back into full-time work once they return. We feel that this policy reflects our intentions to support our colorful community by not restricting types of leave to a certain family style or gender, and by supporting Disqussers during these exciting, but challenging, parts of their lives. 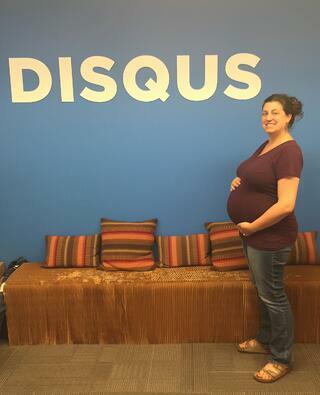 We’re still a small company, just under 50 employees, and (as far as we know), we’re celebrating the births of 5 Disqus babies in 2016! That’s 10% of our population procreating in one year! But even as a small team, we’re able to make this work through advanced communication, lots of planning, and support at all levels of the organization. 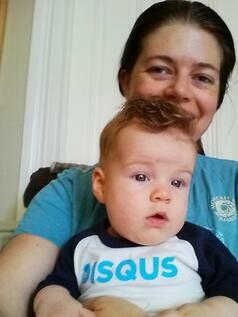 We just had our first Disqus Mom return from her leave, and I’m actually planning to begin my leave in just a few days. If you’re on the policy-creation side at your company, think about what types of benefits and perks make sense for your changing organization. What do you want to offer, and what’s holding you back? It’s definitely possible to be as generous as you want to be, with the proper planning, communication, and commitment. And if you’re not responsible for making these types of decisions within your organization, speak up! Get to know your local laws (Googling “parental leave” and your state or city name is a great place to start) and ask your HR department, CEO, or Founders what their thoughts are on parental leave and what the company might be prepared to offer. It’s quickly becoming a national conversation, and I hope that more companies will join the discussion!